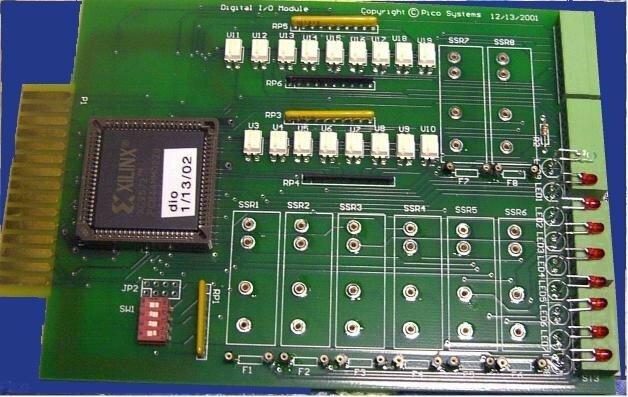 A Digital Input/Output board for the PPMC system. It has an E-stop controller, 16 opto-isolated digital inputs (for home and limits switches) and positions on the board to mount 8 solid state relays (for spindle, coolant, etc. control). 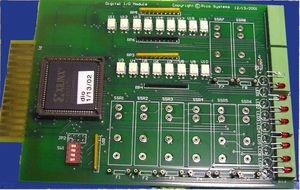 If more than one DIO is installed in a system, the lowest-numbered board becomes the master, and it's E-stop circuit controls the other boards. This product was added to our catalog on 01/19/2018.